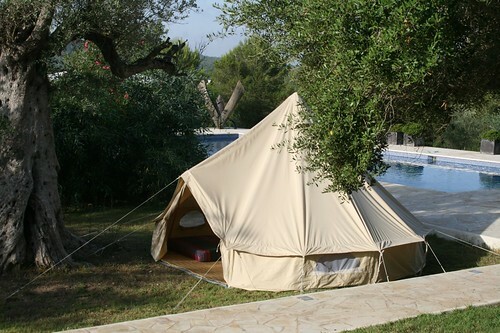 In the height of a busy Ibiza summer, when your finca or villa is getting a bit too overcrowded, but you still want even more friends want to join the fun, Mark and Ayelen at Bell-tent Ibiza have a speedy and hassle-free solution! Coming directly to your home or villa, they set up a sumptuous extra bedroom or chillout zone (or whatever else you’d like!) 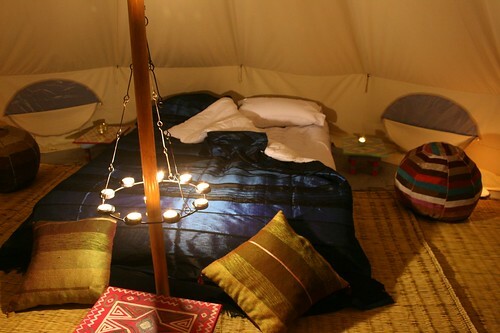 in your garden, with an old fashioned bell-tent, adding boho-chic look to your property from the outside, boasting a wonderful ambience from within. The sides of each tent roll up, so you stay cool in the sun – just add some Moroccan furnishings and soft lighting, et voila! Instant villa enlargement! Ibiza hotels: Open all year round!